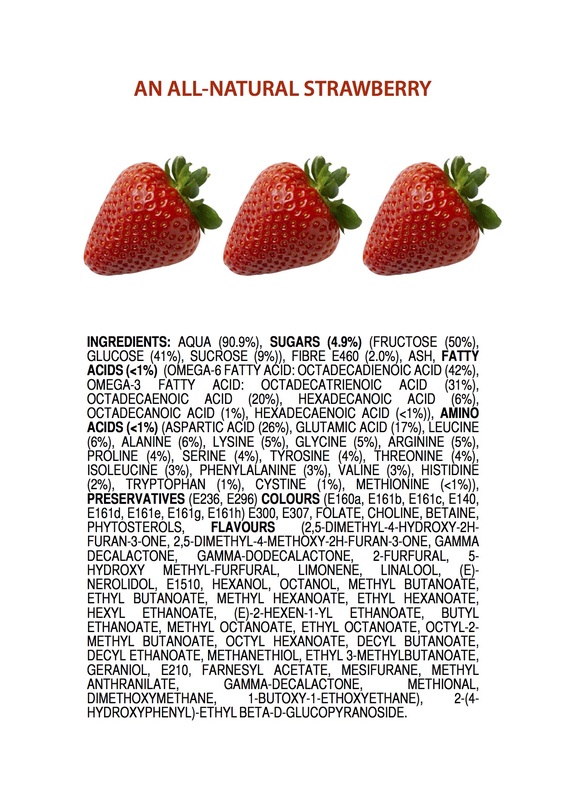 Full “Ingredients” Poster Set Just $99 with Free World Shipping! 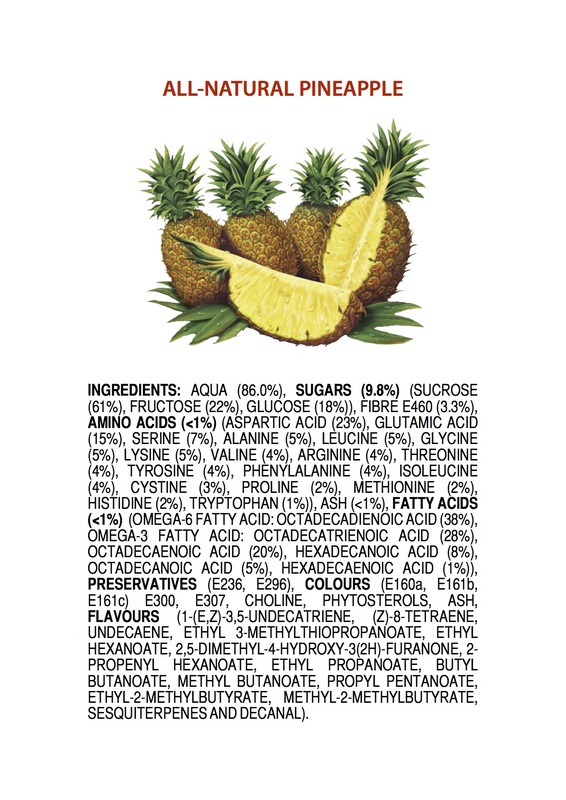 From today, all 12 Ingredients of an All-Natural Banana (and other Fruits) posters are available for just $99 with free world shipping by clicking the image below. They’ve been featured on dozens of news websites and magazines and received over 2 million views in total this year. 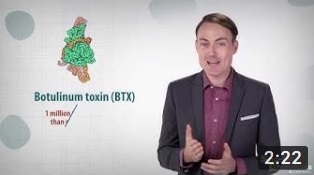 They started as an educational ‘hook’ for the classroom (specifically to introduce organic chemistry), but went viral online and sparked articles from all sides of the “is natural always best?” debate. From today, get the entire original 12-poster set on sturdy 300 gsm card stock for just $99 with free world shipping by clicking the button above. (Usual selling price is $10 each plus postage). 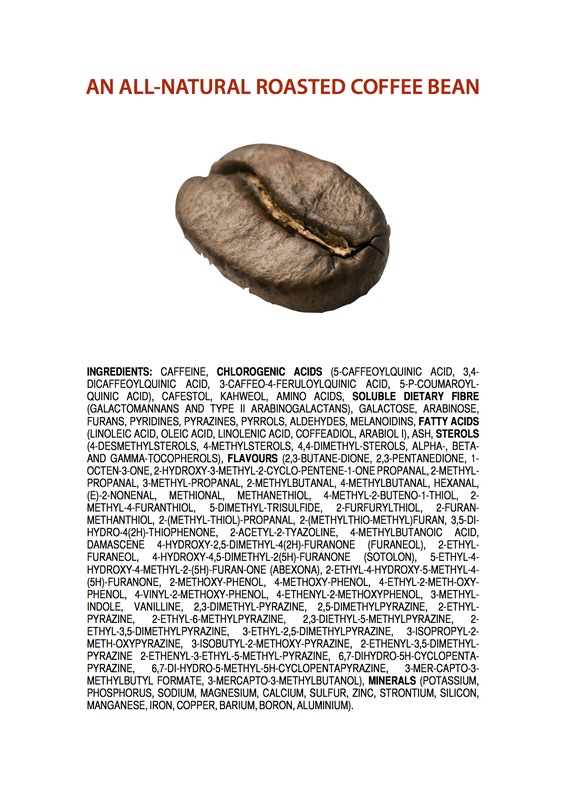 Following last week’s Starbucks® graphic, it seems right to follow up with a quick poster on the Ingredients of An All-Natural Roasted Coffee Bean. 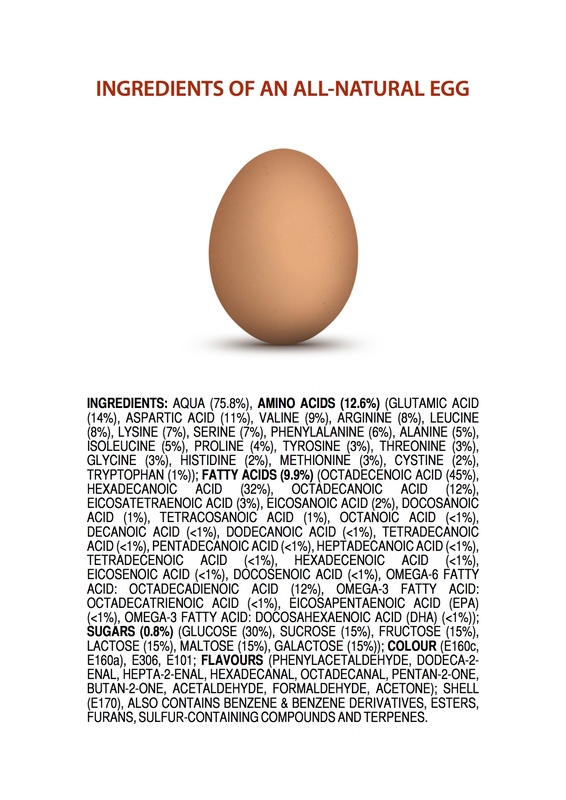 The Ingredients poster series was featured in Forbes last week (article written by Robert J. Szczerba, CEO of X Tech Ventures). Cherries are extremely sweet, and are unusual in that they contain more glucose (52%) than fructose (42%). Their bright red colour comes from the carotenes and capsanthin (the E160 colourings) that are present in high quantities throughout the fruit. 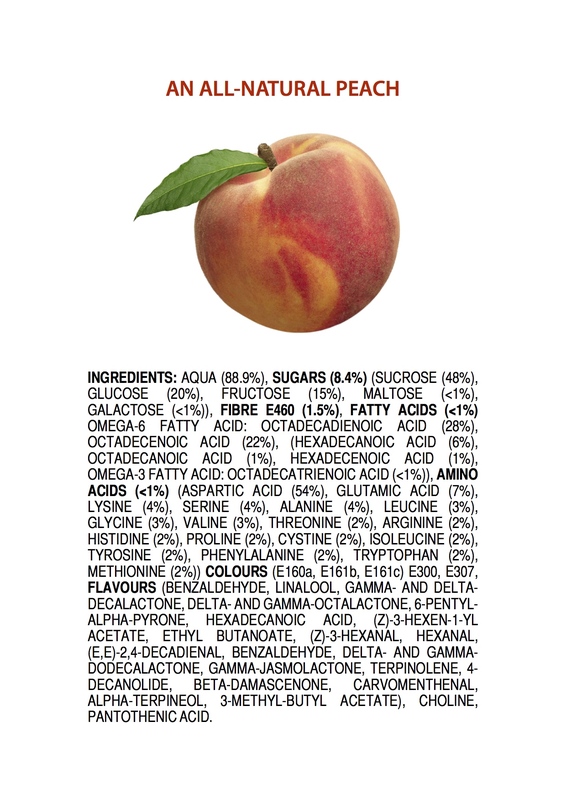 Cherry flavour comes from a huge collection of aroma compounds produced naturally by the cherry. To make all of these compounds in the lab, then mix them together in the correct proportions would be ridiculously time-consuming and expensive. 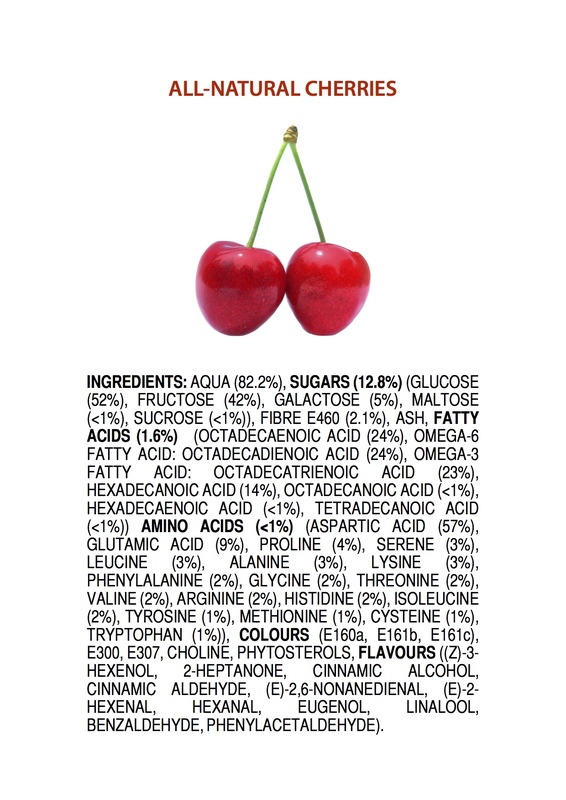 When making artificial cherry flavourings, only the first two compounds are usually added: (Z)-3-hexenol and 2-heptanone. Artificial cherry flavouring thus tastes absolutely nothing like real cherries: it lacks most of the ingredients that give real cherries their delicious flavour. It’s quite a different story with oranges and lemons, though. 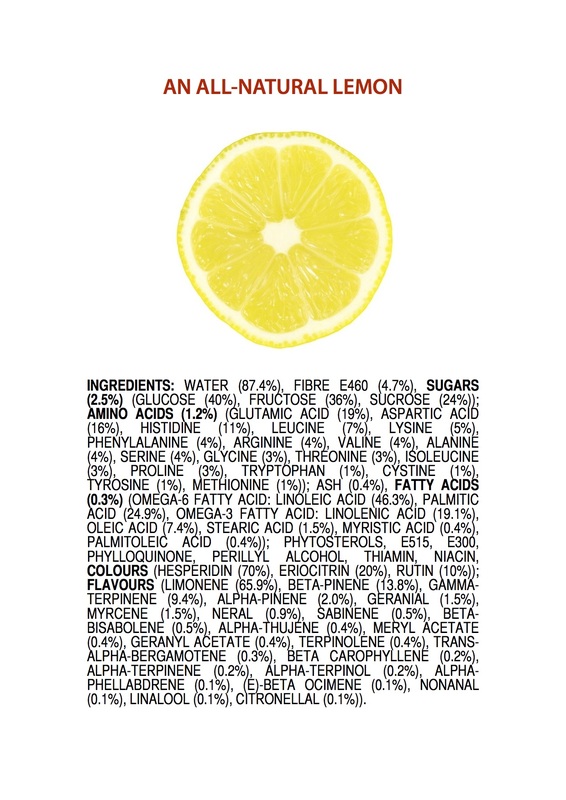 Most of the flavour of oranges and lemons comes from (+)-limonene and (-)-limonene, which, by themselves, smell like orange and lemon, respectively. This post is a shameless list of newspapers and famous blogs that published articles about the All-Natural Banana, which has now exceeded 2 million views on the internet. And many other, smaller blogs. I’m now sending multiple print shipments every day, most of them international. It now exists in 7 languages. More on that soon. And it’s been shared widely across social media like Twitter. In other words, it’s gone viral. 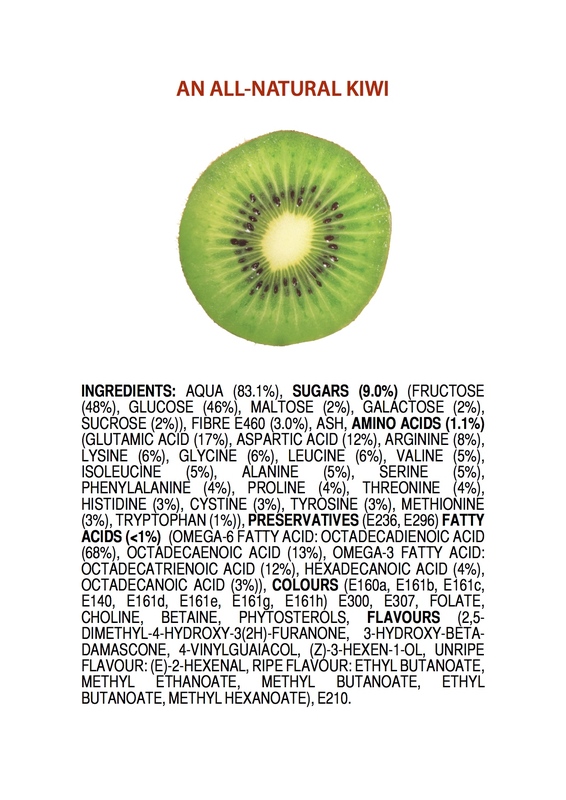 Welcome Kiwi to the all-natural gang. Merchandise is in the T-Shirt Store. Also, some exciting changes are coming to the T-Shirt Store very soon. 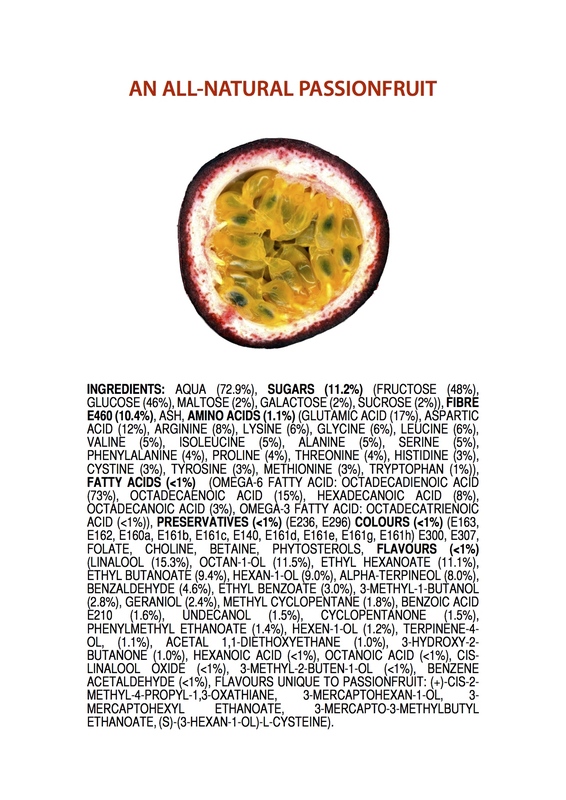 Welcome Passionfruit to the all-natural gang. His merchandise is already in the T-Shirt Store. Here are high-resolution PDFs of all three posters. Free to use. Feedback welcome. Click each image to download the PDF poster. 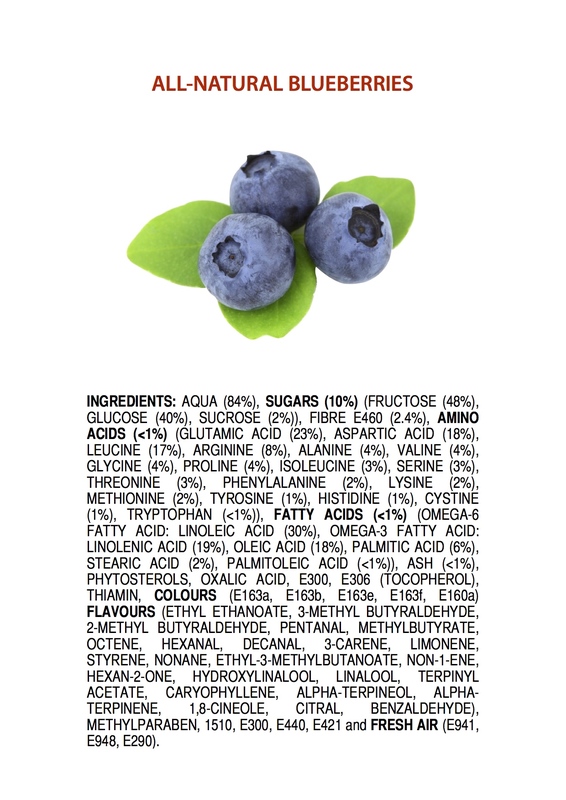 About these posters: As a Chemistry teacher, I want to erode the fear that many people have of “chemicals”, and demonstrate that nature evolves compounds, mechanisms and structures far more complicated and unpredictable than anything we can produce in the lab.